But the progressive Democrats clamoring for hearings on Medicare for All are embracing the calls from across the aisle. The progressives backing the bill say, “Bring it on.” They are convinced the Republicans are miscalculating, much as they did with their doomed attempts to repeal and replace Obamacare. The Republicans’ counterintuitive move seeks to exacerbate real divisions within the Democratic Party on how far and how fast to move beyond Obamacare and chart a course toward Medicare for All. 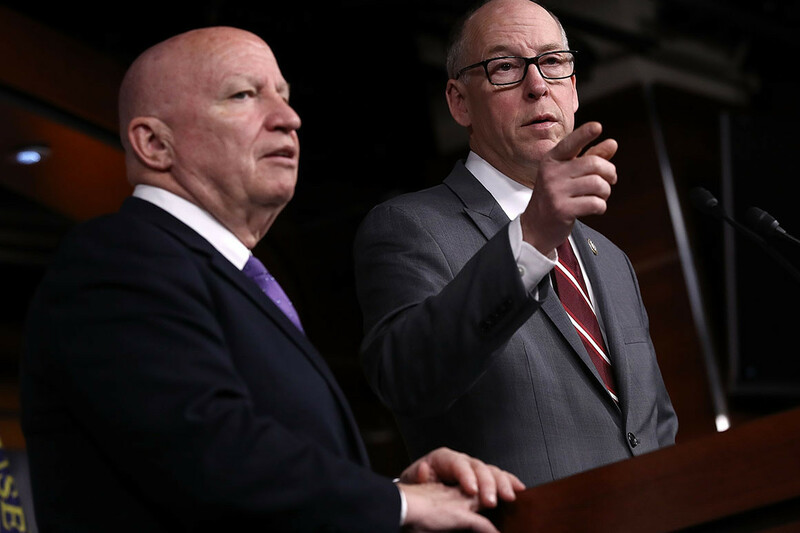 Senior Democrats leading the House’s health committees blasted the GOP request as “cynical” and “disingenuous” and said it would not affect their timeline for weighing the policy. While the House Rules and Budget committees are already set to hold hearings on Medicare for All starting in February or March, there have been no firm commitments from the Energy and Commerce and Ways and Means panels whose endorsements are needed for a floor vote. Jayapal and other Medicare for All proponents have been pressing the panels’ leaders for hearings since Democrats won back in the House in November. Now, Republicans are trying to squeeze them from the right. Republicans are convinced they can portray Medicare for All as reckless and expensive social engineering that’s far out of the mainstream. A recent poll by the Kaiser Family Foundation found that nearly 70 percent of Americans favor Medicare for All when they hear it would eliminate health insurance premiums and reduce out-of-pocket costs. But that approval plummets to below 40 percent when people are told they might have to pay more in taxes and that private health insurance would be eliminated. But members of the Congressional Progressive Caucus are just as convinced the Republicans are misjudging the public’s appetite for a stronger social safety net and will overplay their hand — bringing a policy they hate one step closer to passage. Pocan compared the dynamic to Republicans’ threat last year to force a potentially embarrassing vote on his bill to abolish Immigration and Customs Enforcement. When Democrats called their bluff, Republican leaders backed down by canceling the vote and instead bringing up a nonbinding resolution of support for ICE. “They always think they’re more clever than the American people, but I find that they never are,” Pocan said. Pallone, the man with the power to schedule a hearing on the bill, is not amused. He responded Wednesday with an off-the-cuff rant at the opening of an unrelated committee hearing on threats to the Affordable Care Act, accusing Republicans of acting in bad faith. Though Pallone said the committee intends to take up Medicare for All at some point, he didn’t make a firm commitment. Nor has Ways and Means Chairman Richard Neal (D-Mass.). But with the introduction of the Medicare for All bill just days away, lawmakers on both sides are intensifying the drumbeat. Proponents of the bill dispute these characterizations about the policy’s cost and impact. They’ve argued, for example, that the $ 32 trillion price tag calculated by the conservative Mercatus Center is actually less that what the U.S. would spend over the next decade by keeping the current system in place. And while private, employer-sponsored plan would be eliminated and replaced by government-run insurance under the bill, people would still be able to purchase some supplemental private insurance if they so chose. But Brady and other Republicans plan to capitalize on the public’s confusion about Medicare for All and erode its fairly high level of popularity. For example, a University of Chicago survey released in January found that a majority of people believe, incorrectly, that public insurance would be optional under Medicare for All and that they would be able to keep their private health coverage. Many people surveyed were similarly ill-informed on who would be eligible under a single-payer model, what benefits would be covered and how much it would cost. “If you want a socialist experiment with Medicare, by all means vote Democrat,” Sen. Rick Scott (R-Fla.) recently posted on Twitter. Fears about cost and disrupting coverage have made Medicare for All far from a consensus position among Democrats. Much of the party prefers a “Medicare for More” approach that would allow some or all Americans to buy into a government-run insurance program while allowing those who prefer to keep their private plans to do so. Republicans are well aware of these tensions within the Democratic caucus and how they may work to their advantage. “To have these hearings would perhaps highlight a very sharp divide that’s out there,” Rep. Mark Meadows (R-N.C.), the leader of the conservative Freedom Caucus, told POLITICO. Democrats, including Energy and Commerce’s Health subcommittee chair Rep. Anna Eshoo (D-Calif.), counter that Republicans are intentionally misrepresenting the spectrum of health care ideas currently under debate. To the frustration of progressives, Eshoo has said that her subcommittee will get around to examining Medicare for All only after working its way through a long list of other priorities, including legislation to protect and strengthen Obamacare and bills to lower the cost of the prescription drugs. Like Pallone, she told POLITICO the new Republican calls for hearings change nothing.